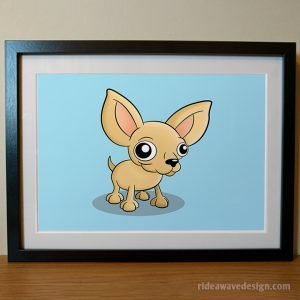 These cartoon pet portraits make the perfect gift for any dog, cat or animal lover. 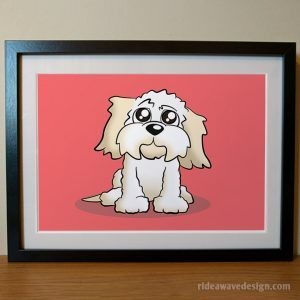 These original pet portraits come framed and looks great on a wall or desk. 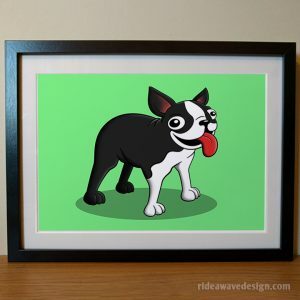 They’re printed on high quality matte finish paper and come in a black wooden frame. 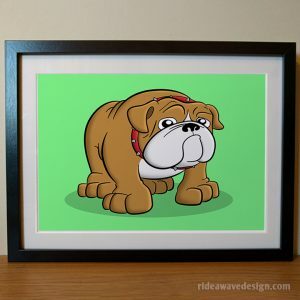 Don’t find the animal you’re looking for? 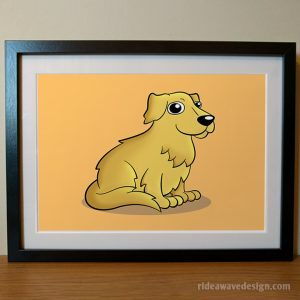 I offer customised pet portraits too! 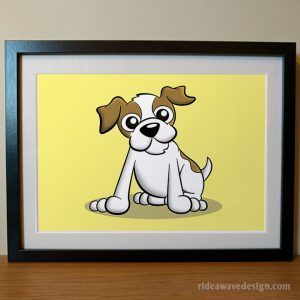 Whether it’s a dog, cat, rabbit, tortoise I can create a personalised illustration to look like your pet. 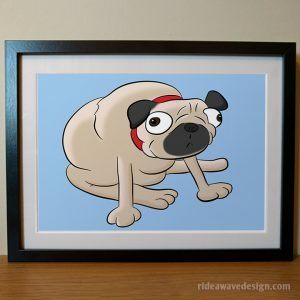 If you’d like a personalised pet portrait please get in touch through the contact form below giving information about the personalised portrait you require. 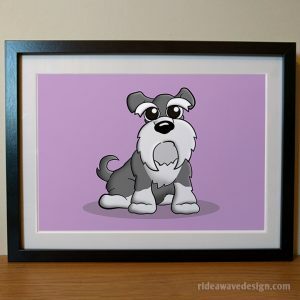 Attach a photo of your pet so I can see colours and any distinct markings to make the portrait as personalised as possible. 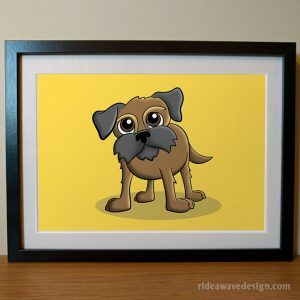 I will email you back with a quote and payment details and will have your personalised pet portrait with you within two weeks.